The New Year may well be the breakthrough year for fuel cells. The astonishing innovation and marketing locomotive of Apple Computers with the i – you name it – product list leading us into new uses for electronic devices, has let slip they will preview a fuel cell idea at this month’s Consumer Electronics Show. Apple has gone so far as to file patent applications named “Fuel Cell System to Power a Portable Computing Device” and “Fuel Cell System Coupled to a Portable Computing Device” – ideas not to be taken lightly. It not a great surprise to close Apple watchers, Apple has filed other patent applications for light weight hydrogen fuel cells. Those patents, which were brought to light this past October, described a building process where multiple fuel cells are connected by a power bus in a parallel pattern, and a voltage-multiplying circuit is added for additional voltage from the stack. Apple hopes to utilize these lighter, more efficient fuel cells in its mobile products in an effort to promote renewable energy sources and offer devices with the ability to run for days or even weeks without refuelling, according to the patent applications. The devices will also be lighter and less bulky due to the lack of traditional batteries. The interesting thing and idea to watch is Apple wants to integrate fuel cells right into their electronics. No fuel cartridge needed. But Apple allows creating a hydrogen fuel cell system that is cost-effective is a challenge. The puzzle remains how hydrogen gas storage costs are going to make fuel cells economically viable, hydrogen is very difficult to store. The smallest atom making the smallest molecule in H2 form needs compressed or exotic materials to keep it in one place. The more interesting fuel cells rely on low cost stores of hydrogen in methanol or ethanol, liquids that have very high hydrogen density and only need plastic tanks at atmospheric pressure. 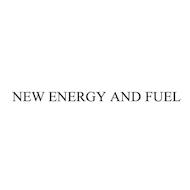 Apple’s patent application isn’t clear on their choice of fuels, either hydrogen or a hydrocarbon. Apple states that alternative fuel cells may correspond to solid oxide fuel cells, molten carbonate fuel cells, direct methanol fuel cells, alkaline fuel cells, and/or other types of fuel cells. Another part of the appeal is regulating a fuel cell’s operating parameter by directly charging an external battery with the fuel cell allowing the control process to be highly reliable. Direct Methanol Fuel Cell by NASA. Click image for the largest view. Meanwhile the U.S. Department of Defense, with the world’s largest fuel bill and likely the largest buyer of batteries is hard at the Direct Methanol Fuel Cell. The U.S. Army is especially interested in hydrogen based fuel cell technology, says Maj. Mark Owens, which drastically reduces the amount of batteries that soldiers carry on dismounted missions. Owens’ shop, the PM Soldier Warrior, studied one three-day mission with a company-sized element and found that the fuel cell reduced the amount of batteries they carried by 600 pounds. The test was the 1st Battalion of the 1st Infantry Division deployed to Afghanistan in 2011 with their rucksacks full of experimental renewable energy equipment. The fuels cells are powered by reformed methanol – meaning it’s slightly watered-down – and “get lighter as time goes on,” as the fuel is used Owens says, “and the case weighs almost nothing.” Still, the rucksack-packable fuel-cell generator weighs 36 lb., according to Army documents. “Obviously, we want to get the weight down as much as possible,” Owens says. Also under evaluation is a 4.6-lb. wearable fuel cell that generates 50 watts of continuous power for 10 hours. The problem is the money – all the fuel cells from simple hydrogen to those reacting heavy petrochemicals like kerosene all rely in expensive and rare elements like platinum, palladium and even rhodium. And they run hot, 100s of degrees centigrade. While the Finns have come up with a much less costly way to use the metals platinum and palladium, the investment will still be very substantial and the growth of the industry will simply push the metal prices higher. Still, there are glimmers of research looking for ways to build fuel cells without the precious metal component. One small break, in an industry building and selling fuel cells in specialized uses with great regularity, offers hope that mass markets can be addressed. Bloom Energy can build fuel cells reacting with natural gas, or methane fuel for sensible prices. Bloom and many others can be expected to be looking for ways to downsize and use liquid fuels. There is intense interest and cash on the line for the market right now. 2012 might be the year a fuel cell comes out that runs under the temperature of boiling water, and runs on cheap, energy dense and abundant, natural gas, ethanol or methanol. So far details are rare, but you can be sure there will news coming soon.